I would like to thank everyone who participated in the Hercules documentation project. We appreciate everyone coming out in less then ideal conditions, who would of guessed rain at the end of January! The surface support and divers were all great, and I hope we expanded are documentation skills. Please email me with any feed back on what you learned, ways we could improve the documentation process or any other recommendations. If you have any photos please send a link if they are on the web, or contact me if you would like to share the pictures on CD or other format. 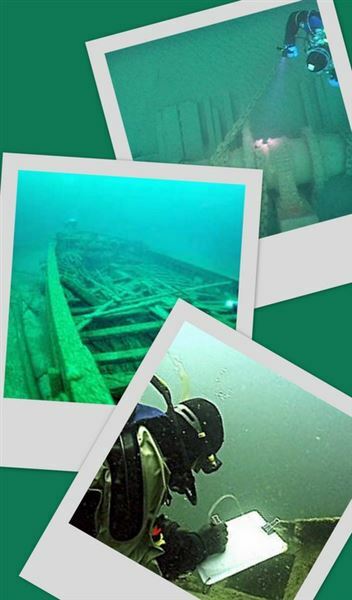 Please come and join the GLSPS Documentation Chairman Pete McConnell on Saturday and Sunday, January 23rd & 24th to Document and create a detailed site map of a Lake Minnetonka Shipwreck. If you are a current member of the GLSPS and Ice Diver Certified, we invite you to attend. 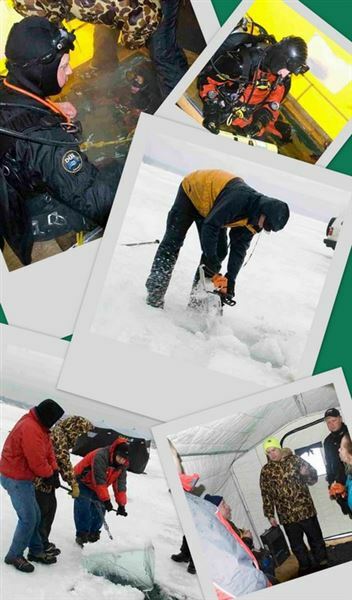 If you are not a certified ice diver and would like to come out and help with the documentation project, you can join us also. We will need some surface support and, help with transferring measurements and drawings to a master copy. The GLSPS is not paying for the food this time so, we will need to pass the hat and split expenses, mainly for the food and propane for the heaters. We are proposing $10 per / person - per/ day contribution. You can also bring some food hot or cold, and beverages to share. Prior to the dive we will have a briefing on goals for the project, a safety briefing, and go over the ice diving rules and signals. We will do a mini course on measuring and documentation skills we will use prior to the dive. Teams will be setup with at least one member that has some experience in documentation. The skills we practice during this project can be used on any documentation project the GLSPS sponsors and also for the Mayflower Documentation Project next fall. Four or five heated warming houses both to dive out of and for changing. The hole to enter the water will be cut and house placed over the hole for comfort. Space inside house is 8 x16. with documentation table and food table. We will also have a chemical toilet available for the ladies and for #2 emergencies etc. The goal of the project is to learn and practice measuring and documentation skills, we learned from the Mayflower it takes time to get a method down, so don’t worry if you are not an artist. At the end of the weekend we are hoping to have a detailed site map of a Lake Minnetonka shipwreck. The shipwreck is TBD. The first dive team will place a baseline down the center of the wreck and two parallel lines dividing the wreck into six sections, each team for the day will be giving a section to measure and document during the dives. After each dive we will transfer the drawing and measurements to a larger drawing on the surface, and go over with other teams’ ideas and suggestions. Please contact Pete McConnell to sign up or for any questions regarding the project.